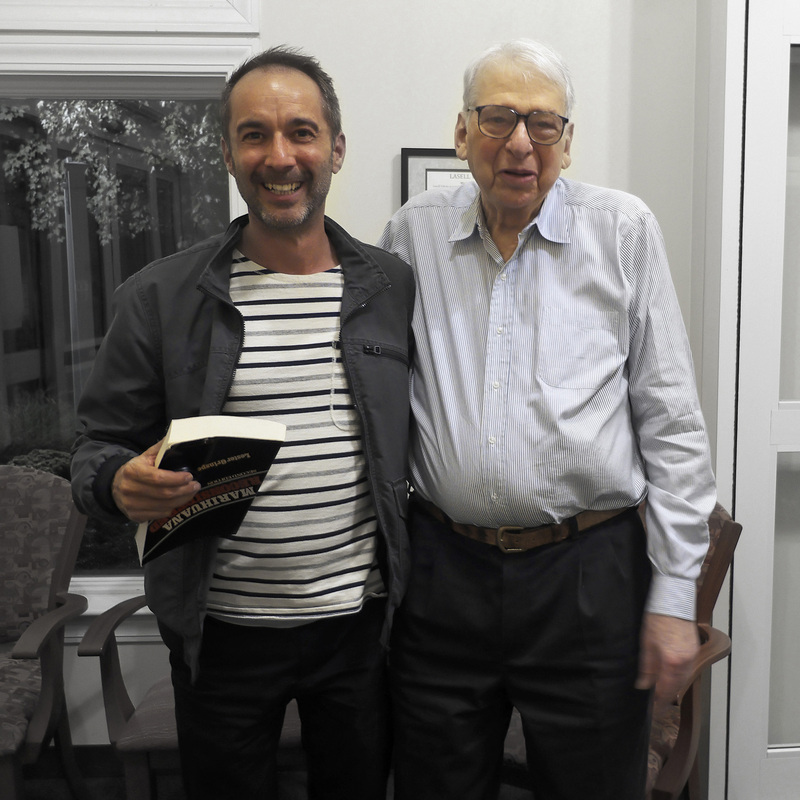 A few days ago, I flew from my production in L.A. to Boston to finally meet for the first time with my friend and hero Lester Grinspoon, Carl Sagan’s best friend. We had known each other for more than eight years now, but never met in person before. And what a lovely meeting it was with him and his wife Betsy! Betsy had just read my new book and loved it. Lester and I talked for hours and he w as delighted to hear about my recent experiences and meetings with cannabis patients and so many others from the cannabis world in Colorado and L.A., especially about the parents of an autistic child who are treating their son very successfully with medical cannabis. Lester had been the first doctor to recommend medical marijuana to parents of autistic children several years ago. I also told Lester about my new online class on how to use a cannabis high for creativity (https://www.learngreenflower.com/courses/30/HOW-TO-USE-CANNABIS-TO-UNLOCK-YOUR-CREATIVITY). We then moved on and used his Volcano, and then Lester and Betsy invited me to a lovely dinner. Lester told me this time how he was called as an expert witness to help John Lennon. The U.S. government wanted to kick Lennon out of the country back then because they had found (or planted?) a joint on him. The judge asked Lester whether marijuana and hashish were the same thing; Lester denied that (hashish comes from the same plant, but is of course an extract). What then happened came as a surprise to Lester, too: they had to let Lennon go because they had only laws for „marijuana“, but not for hashish 😉 This was incredible important, said Lester, because Yoko Ono’s son back then lived in the States and she would not have seen him again in case she would have had to follow John Lennon to England. Thanks for the amazing day and the wonderful dinner, Betsy and Lester! I hope we can meet again soon! How Did the Cannabis High Help to Transform our Society?